This post shares My Top 5 Uses for a Salad Spinner, my kitchen workhorse and all-time favorite kitchen gadget. 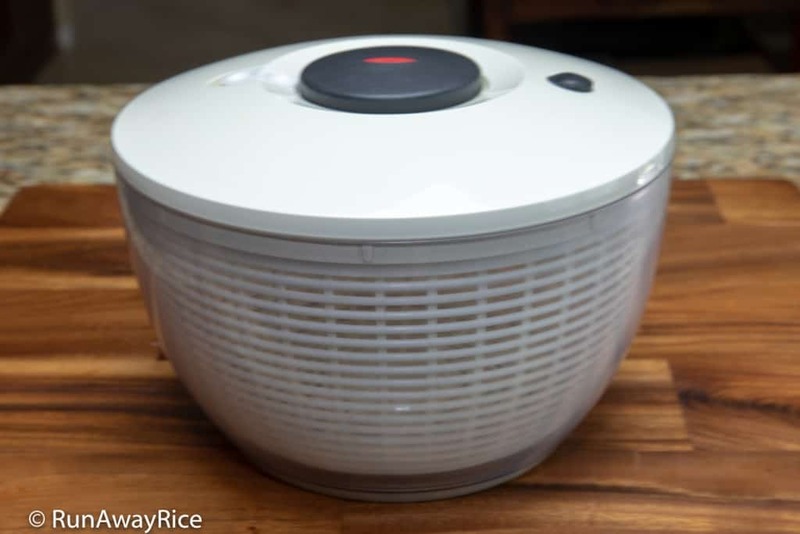 Many of you may recognize my Oxo Salad Spinner from my videos. It’s my steadfast kitchen companion and I can’t imagine cooking without it. I have had it for over 15 years now. It’s well-worn but still performing like a champ. As you can see from the pics, it’s the older style and a bit bulkier. 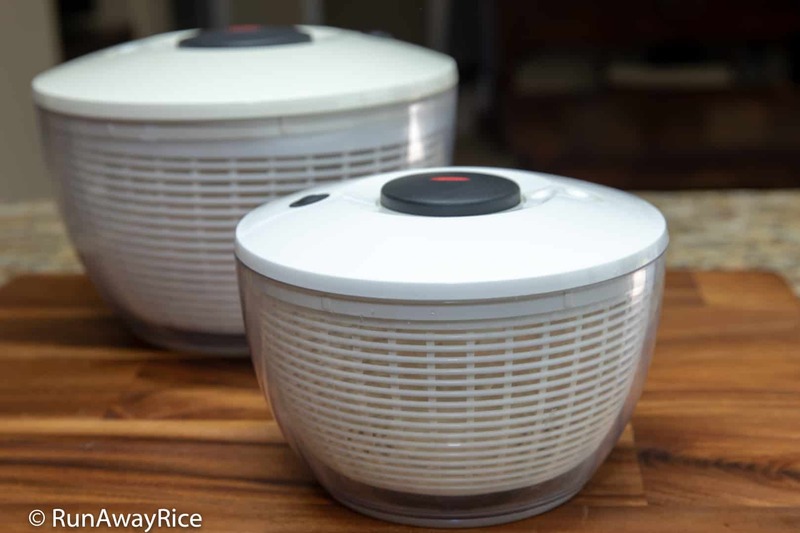 The newer style salad spinner is lighter, has less plastic and sleeker lines. Functionally, both the older style and newer style do exactly the the same thing. 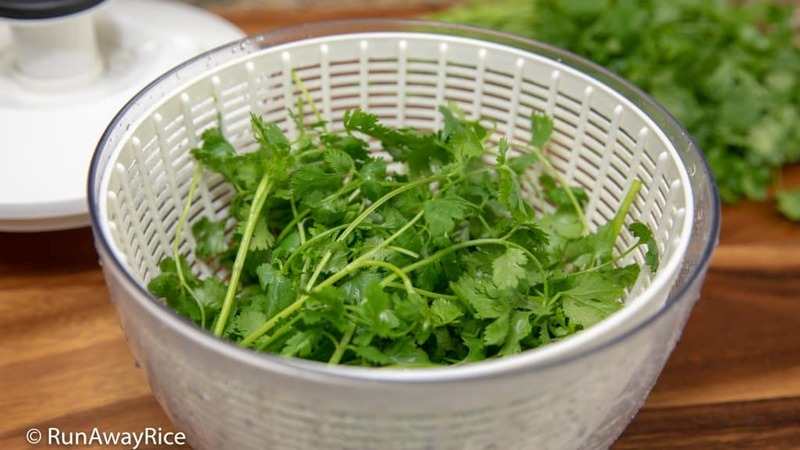 What is a Salad Spinner / How Does It Work? 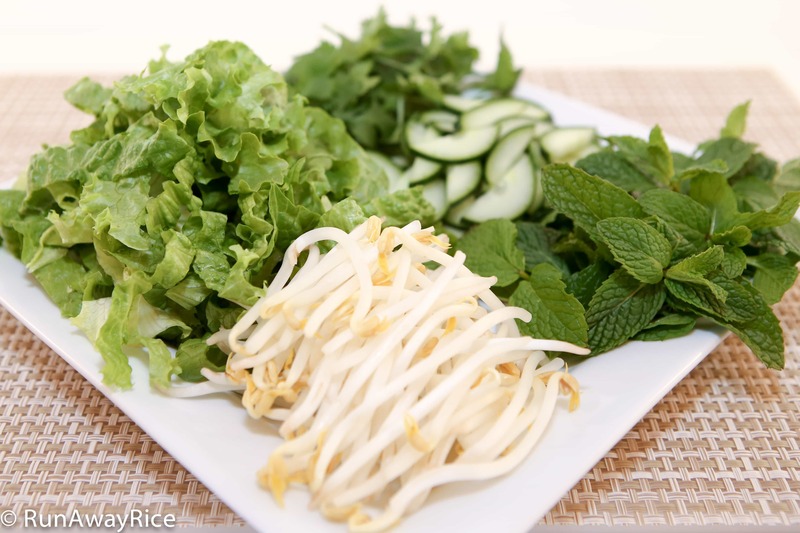 A salad spinner is a kitchen item consisting of 3 parts: a bowl, colander, and a lid with a spinning mechanism. Manually pushing on a lever, button or turning a handle activates the spinning mechanism which causes the colander to spin. 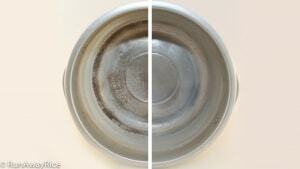 Centrifugal forces causes water to separate from food and propel through the holes in the colander. The water is then collected in the surrounding bowl. This fast rotating action removes excess water from foods quickly and easily. 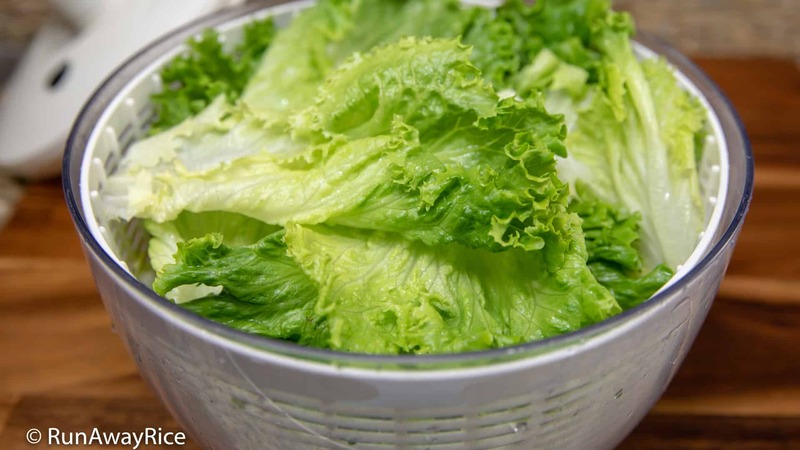 Of course, the obvious use for a salad spinner is to remove water from leafy vegetables like lettuce, romaine and kale. 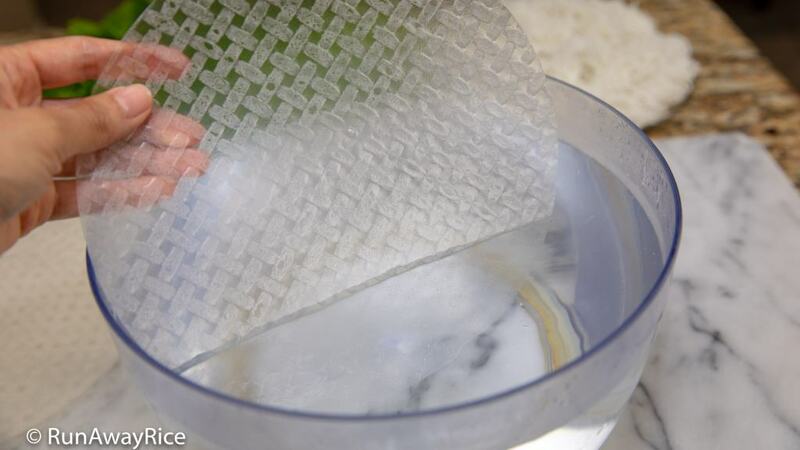 Did you know there are also other clever ways to use this handy kitchen gadget? 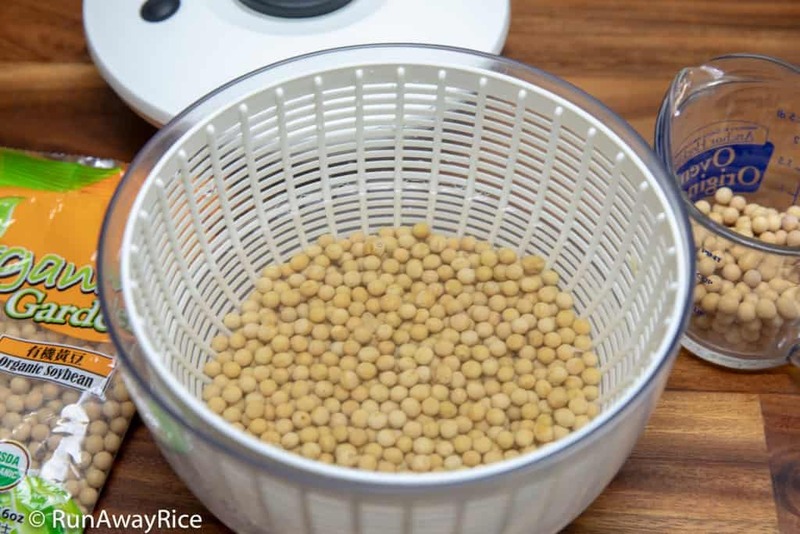 Use a salad spinner to soak dry beans and legumes. Transfer dry beans into the colander and bowl and cover with water. After soaking as needed, use the colander to rinse and toss the beans. Super easy! As most salad spinners have slats rather than holes, it’s better for soaking larger beans such as black beans, soy beans or even dried peanuts. Mung beans and lentils are too small and would fall through the slats. Ever have something extra wet that’s too delicate or difficult to wring by hand? Use your salad spinner! Place it in the salad spinner and give it a couple rounds and voila, the item is much drier. It’s almost as good as the spin cycle on your washer. 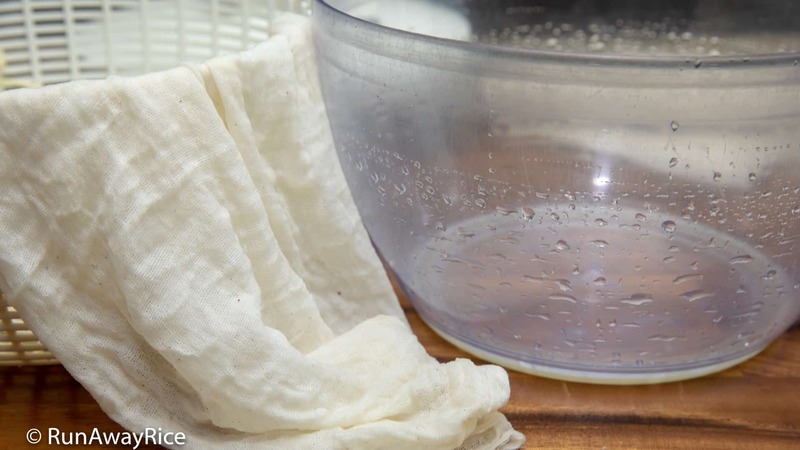 🙂 I use my salad spinner to dry my more delicate kitchen towels, cheesecloth and nut milk bags. 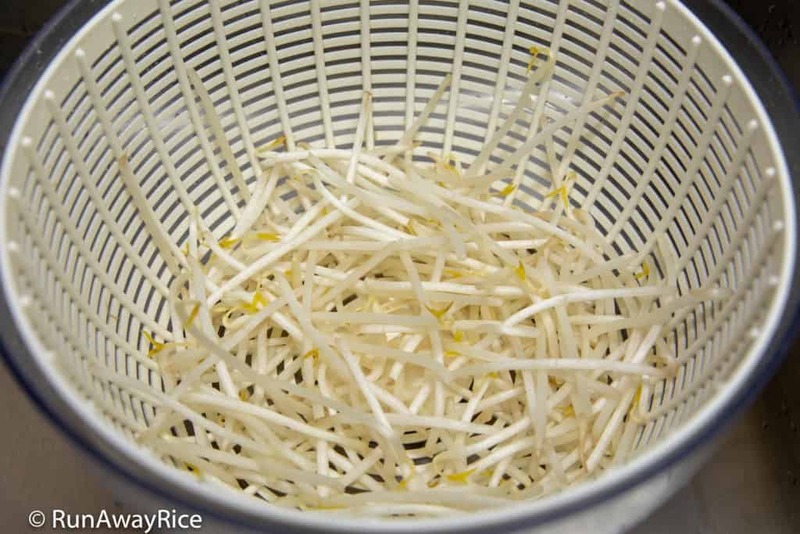 Use it to dry vegetables such as bean sprouts, shredded papaya (Learn why you need to soak papaya in this post: Carrot and Papaya Pickles (Do Chua Ca Rot Du Du)), cabbage, broccoli and more! 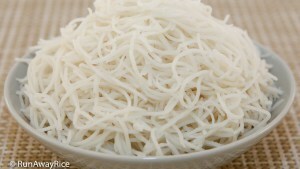 When making Papaya Salad (Goi Du Du), I use to dry the shredded papaya by twisting it in a kitchen towel. A salad salad spinner gets the job done so much faster and much easier on your hands. It’s not just for vegetables. 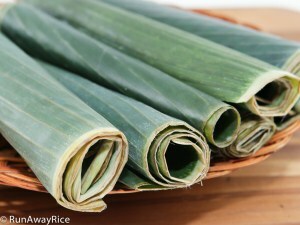 I use it to soak and rinse shredded pork. (Recipe Coming Soon!). I’d also like to mention if you’re accustomed to using paper towels to blot foods dry, a salad spinner will certainly reduce paper waste. Yeah! When making spring rolls, use the deep bowl to wet rice paper. 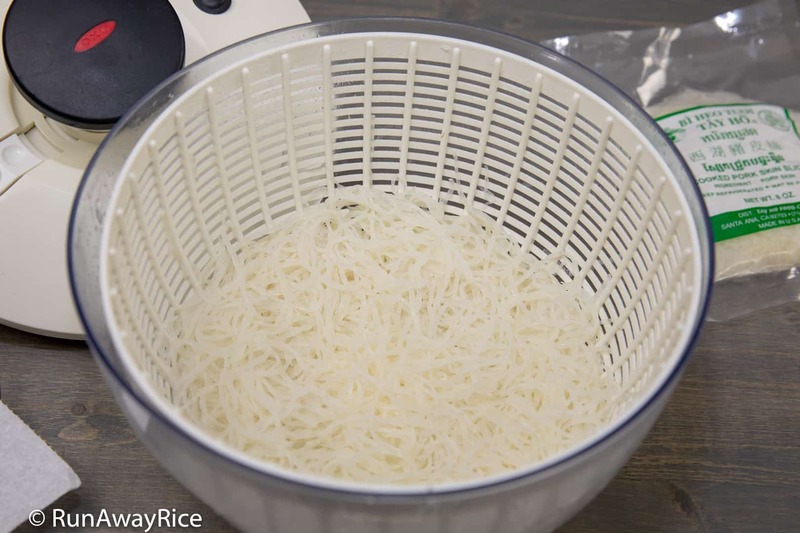 The salad spinner bowl is a generous size, holding over 6 quarts, so consider it another kitchen bowl. Use it as an extra prep, mixing or even serving bowl. The bowl and colander are fantastic multi-functional items and perform double duty for kitchens where space is limited. 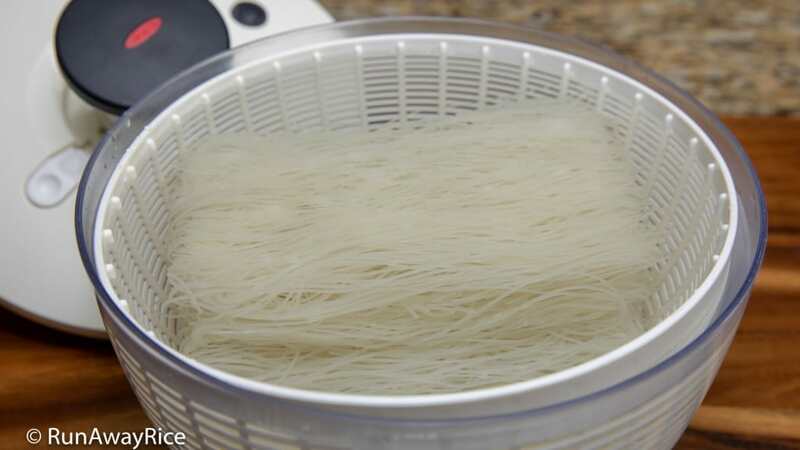 My #1 and favorite use for a salad spinner is soaking dry noodles, rinsing after cooking and spinning the noodles dry. 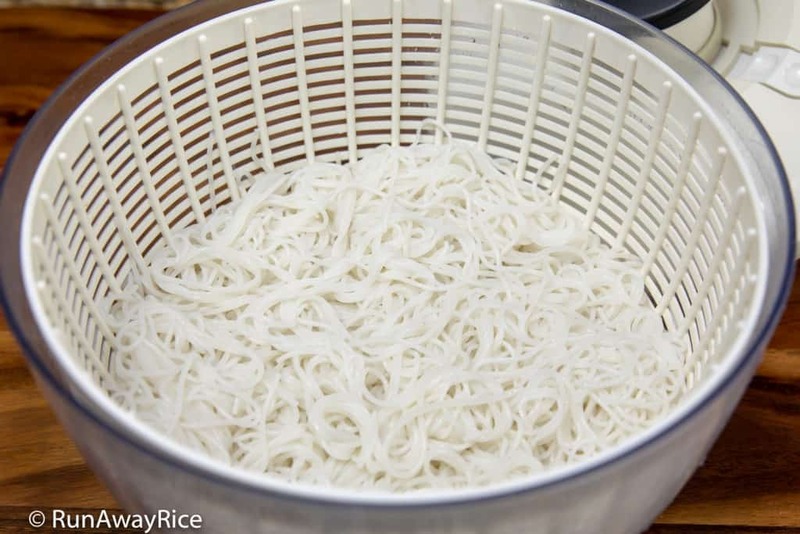 Use a salad spinner to make perfectly fluffy noodles every time. 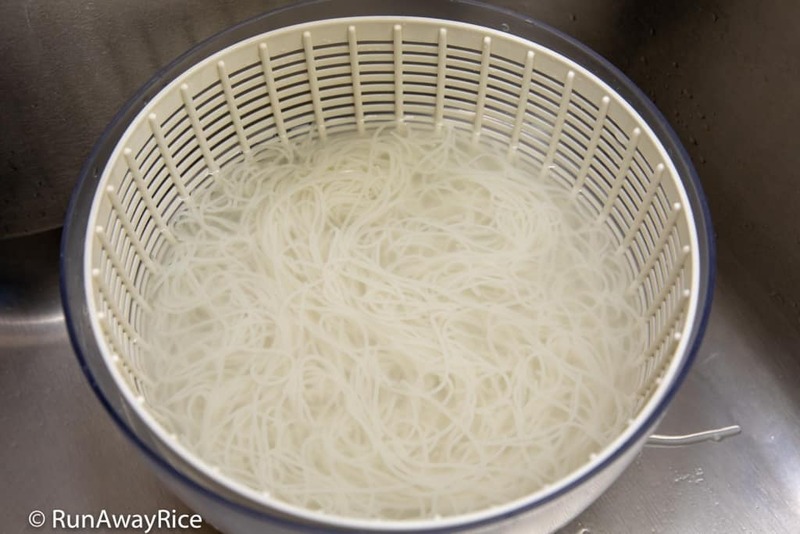 If you’d like to learn my technique for making perfect rice vermicelli, please see this post: How to Cook Perfect Rice Vermicelli. Wouldn’t you have guessed, I actually have 2 salad spinners?! 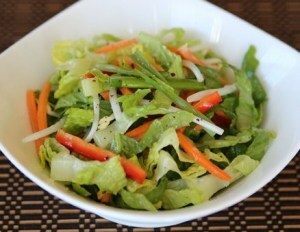 I have the large Oxo Salad Spinner which is great for larger portions of lettuce, noodles, etc. and a smaller one. 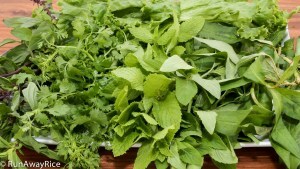 Called the the Oxo Little Salad and Herb Spinner, it has a 2.5 quart capacity and designed for spinning 1-2 bunches fresh herbs or 2 servings salad. Good news! 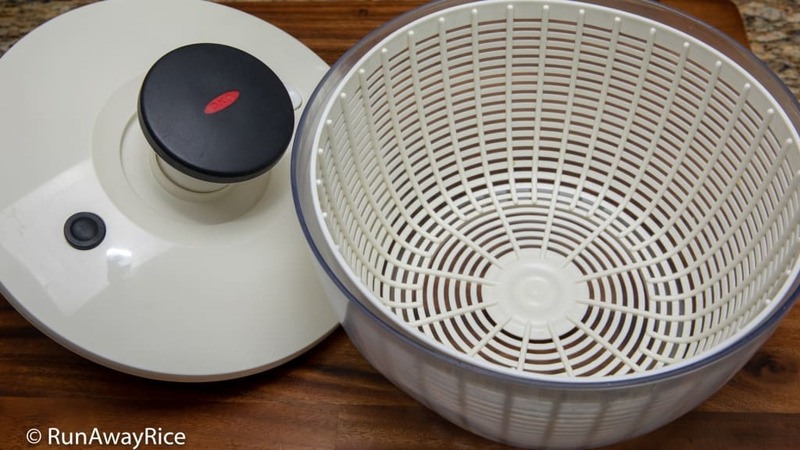 The classic (old style I have) Oxo Salad Spinner is still available online. As I mentioned earlier, it has more plastic and noticeably sturdier with a slightly larger bowl 6.34 quarts vs 6.22 quarts for the new style. I am a huge fan of Oxo products but there are many brands available at all different price points. You can buy an inexpensive salad spinner from Walmart and Ikea for less than $10 or spring for more expensive ones costing upwards of $50. If you have another nifty way of using your salad spinner, I’d love to hear about it. Please share with me in the comments below!